It is possible to homeschool without spending a lot of money by using free and inexpensive resources such as the library, worksheets and printables. Utilize these free resources to help you find and introduce facts or supplement your curriculum. States: Download and print out lists of all 50 states with their capitals, as well as a list of state abbreviations. Animals: Find and print introduce your kids to lists of dinosaur species, as well as other endangered animals. Grammar: Teaching grammar? Print out usable lists of intermediate and advanced antonyms or prepositions that your kids can refer to and use when they need them. Lessons: Get help planning and preparing your homeschool lessons with printable materials that can assist, lists of websites that have free lesson plans, as well as an entire index of materials you can download by grade and ability. 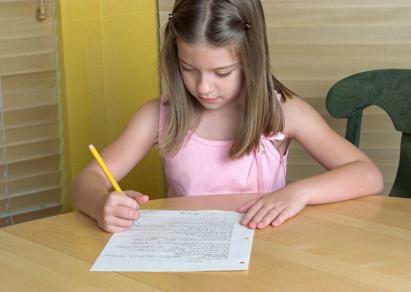 Worksheets: Get help finding worksheets you can give to your kids on a wide variety of different topics, with lists of sites that have free math worksheets, as well as printable worksheets for topics like beginning Spanish or spelling. Materials: Homeschooling often involves more than just worksheets and lists. Get help finding other materials you can utilize such as multiplication tables or lists of websites that feature free homeschool aids. With the wealth of different printables available to you, you'll find you have a lot of information at your fingertips perfect for introducing to your children. Start downloading and printing this material today and find new things to cover in the classroom for tomorrow.